The quest for truth is nothing new to mankind. For centuries man has looked on the wonder of creation and tried to reason out answers about its origins, its nature, and its purpose. The modern notion is to presume that science carries all the answers to these questions, but doesn't in fact pose more? 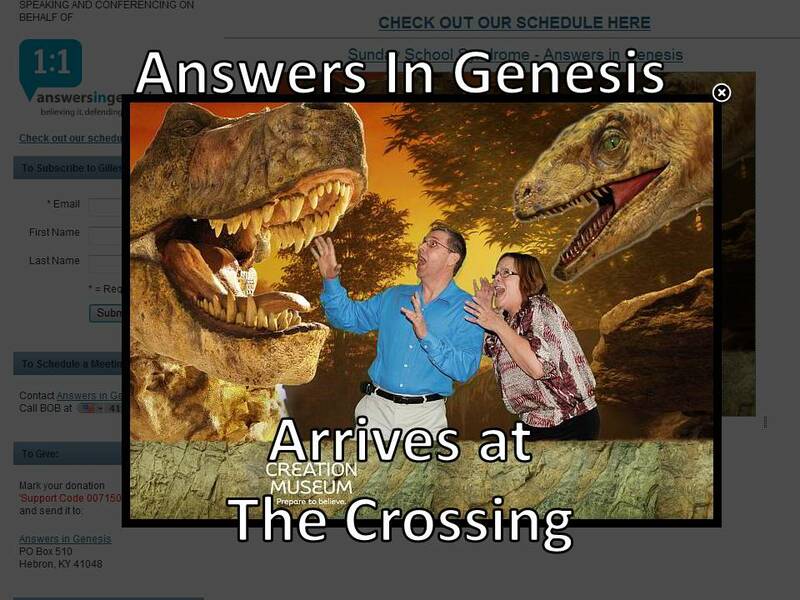 On October 21-22 the Crossing had the privelege of hosting a conference that addressed the Truth. The scientific method requires that every supposition be tested empirically to prove the veracity of the postulate and for many years now, Answers In Genesis has been doing just that with both the Word of God and scientific research. 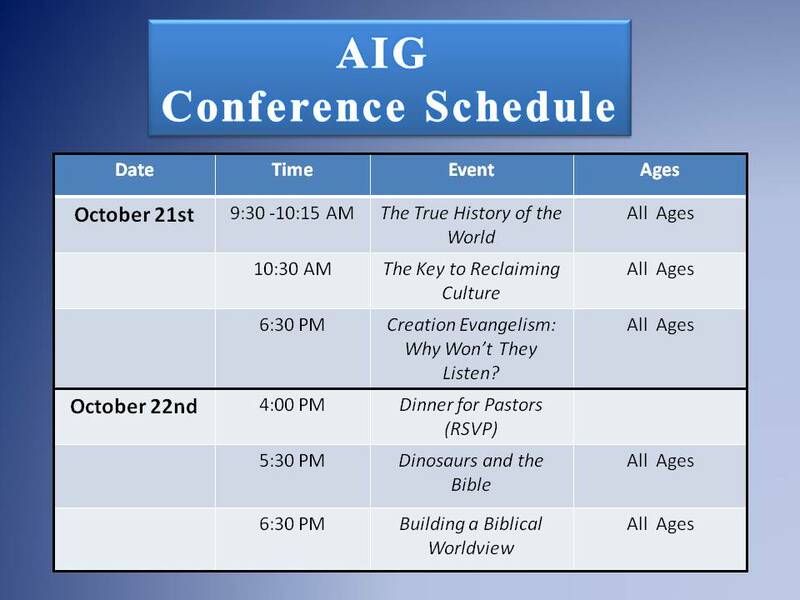 During the two days speaker Bob Gillespie dispelled the darkness of the world's convenient solutions and explained the answers to the origins of the universe, dinosaurs, mankind's beginnings, and many other topics that are the foundation for our understanding of our world. 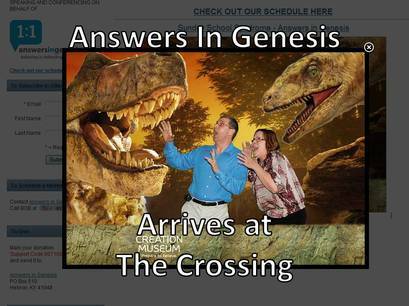 To learn more about the Truth from the beginning visit: http://www.AnswersInGenesis.org. 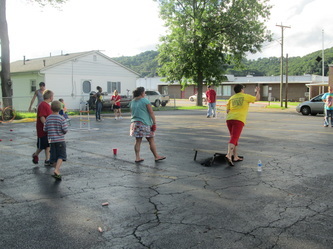 This year's Vacation Bible School was the week of July 9th to the 13th. 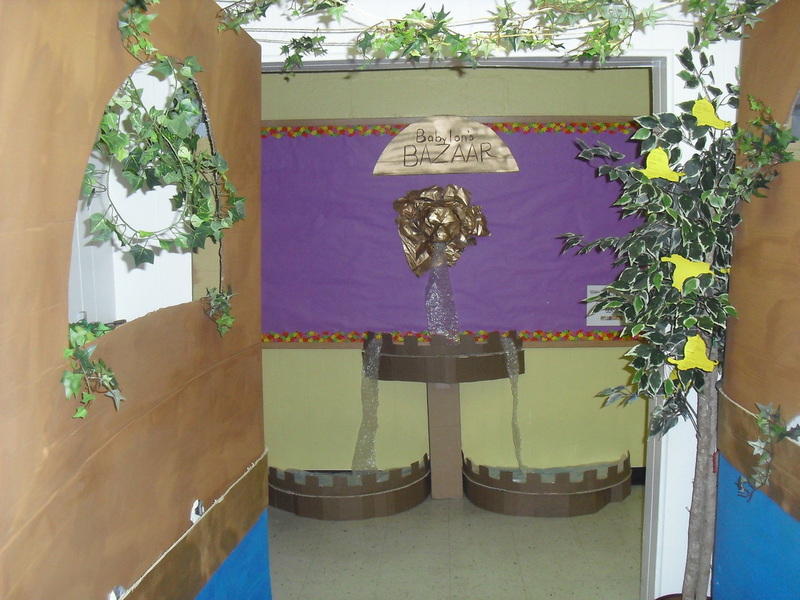 The kids were treated to a trip into the ancient past as they visited Babylon! 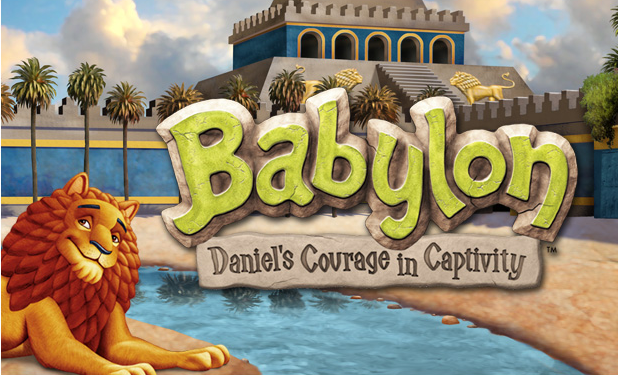 Kids of all ages traveled in one of 12 tribes where discovered the truth of God's love and faithfulness through the story a Bible hero who knew all about it, the prophet Daniel. 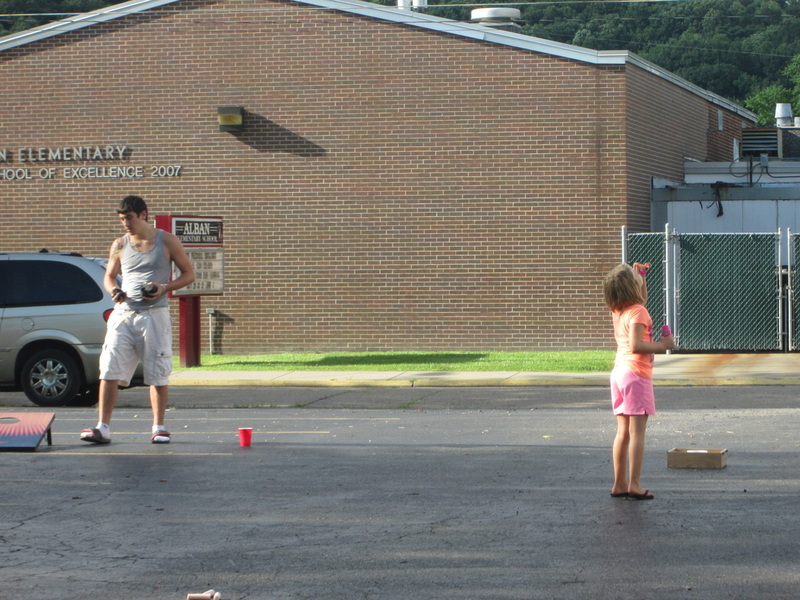 Everyone was encouraged to come, and kids from pre-school to 5th grade participated. 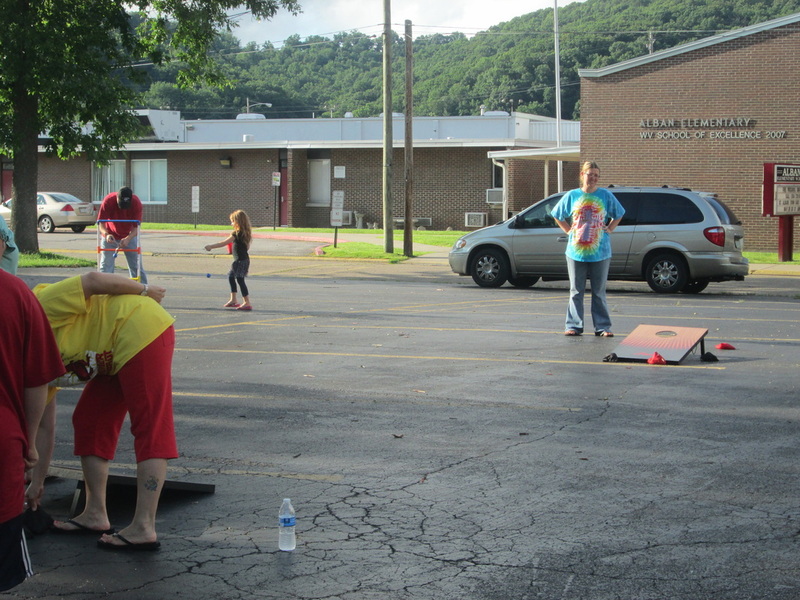 There were numerous teen and parent volunteers each night, along with other church members. 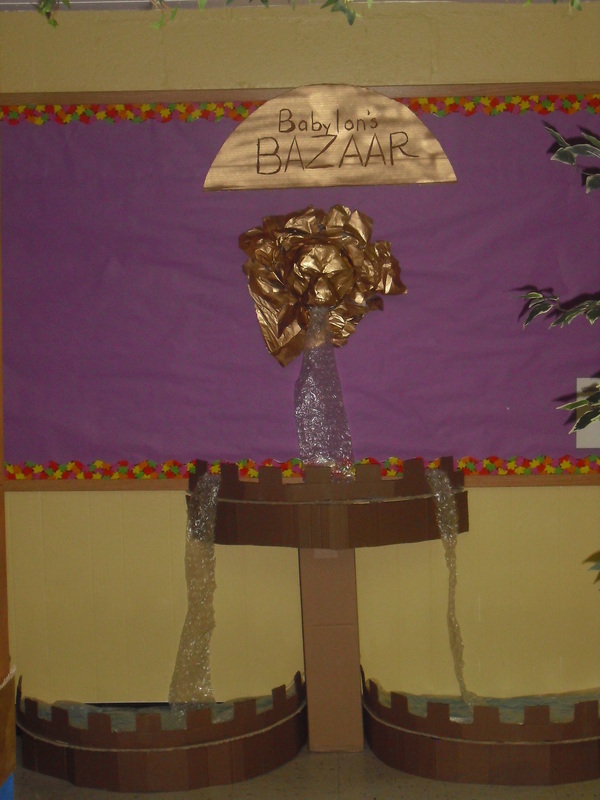 Each night kids were able to visit the Marketplace where they could spend the coins given them that night on three different crafts and/or snacks from the various craft booths at the bazaar. Every night included worship songs with sign language incorporated, Awesome God was the kids' favorite. The most impactful part of the evening though was when the kids had time to view the live play centered around Daniel's life. The kids would sit at his feet and hear about how God cared for Daniel and how he had courage even in the darkest of situations. A pin could have been heard dropping on the night when Daniel was taken away to the lion's den and Daniel received many hugs the next night when he returned alive after God had rescued him! 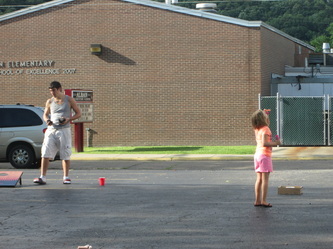 Throughout the week the kids were also able to bring money to give to Operation Kid to Kid, this year's VBS mission. Operation Kid to Kid is about supplying mosquito proofed nets to kids in the African country Mali. Every thirty seconds a child dies from malaria, transmitted by mosquitoes. Since mosquitoes are most active during the night, the mosquito needs the kids brouht money for can really save another child's life! 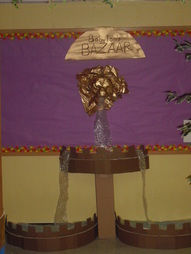 By the end of the week the kids brought in enough money to buy 36 of the nets! 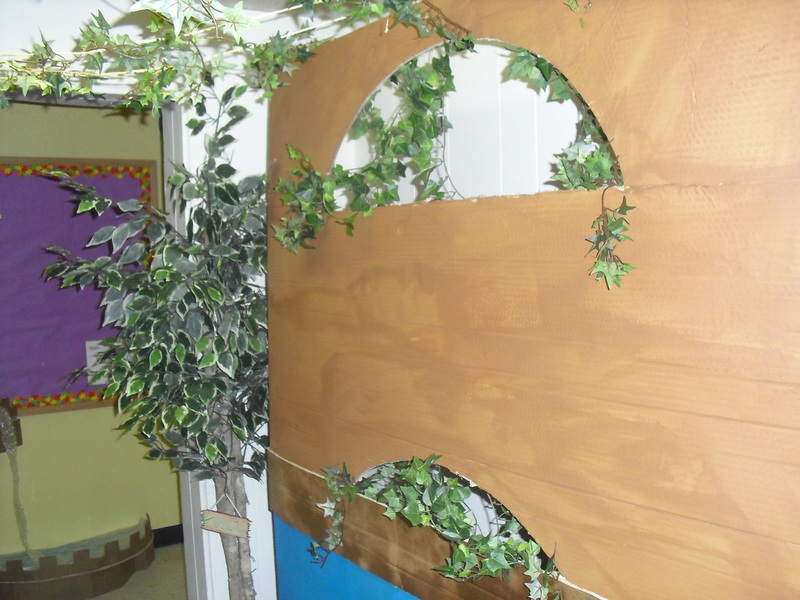 Another weekly feature was the God Sightings Wall. After the first night the kdis were challenged to look around them while not at VBS and see if they could find God's hand in the world. Every night these observations were written down on special animal tiles and added to the Babylonian wall at the back of the sanctuary. The whole week went wonderfully and everyone who helped out deserves a big thanks. Most of all, though, we should be in prayer, that the opportunity to learn more about and grow closer to our amazing and wonderful God continues to affect the kids and adults who participated indefinitely. 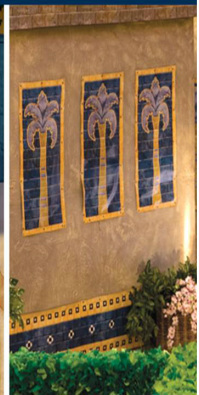 On each side of this page are pictures from around the church, check back in the coming days, as more are added. Click on one to see an enlarged version. 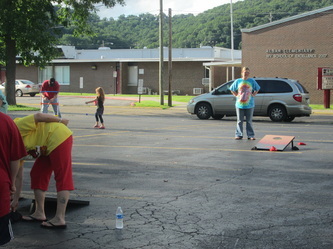 During the week of VBS, everything was held at the Harrison Ave Campus of the Crossing. For printout with details click here. On December 3rd the Crossing held its first ever Parents' Day Out, where any parents were able to drop off their children for a few hours and catch up on shopping, work, or some much needed relaxation time, while the Crossing's most attentive childrens' teachers cared for them. 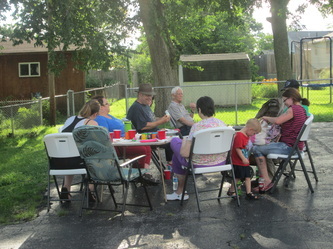 The kids had a nice meal and plenty of fun activities to make the day fun for them as well. Those parents and kids who came seemed to enjoy what we hope will be an annual opportunity to help relieve the stress that comes with the season. 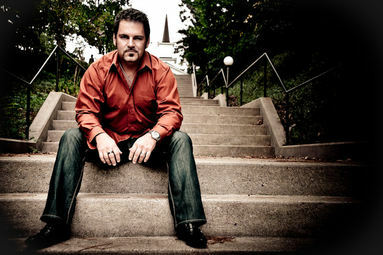 AND IF OUR GOD IS FOR US TOUR COMES TO CHARLESTON! Click here to learn more about the Crossing's first revival as a unified church! 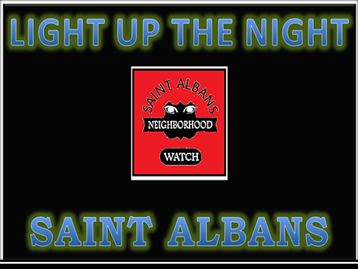 Sunday, October 23rd The Crossing held a pair of special services in honor of Saint Albans High School's Fall Sports teams. Red Dragons from the Football, Girls and Boys Soccer, Girl's Volleyball, Cross Country, and Golf teams, as well as the Cheerleading squad (though no one would have been turned away), were invited to hear a message from Raleigh Sadler in both the morning and evening services. 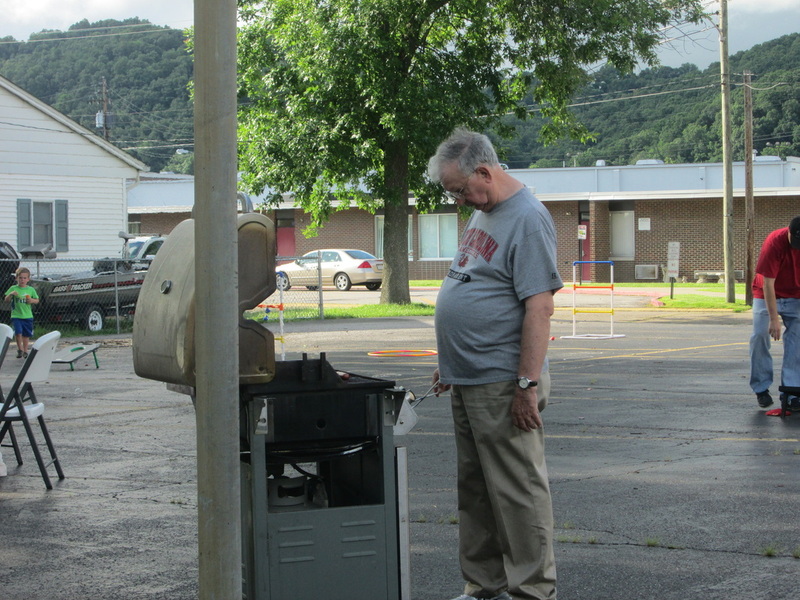 His message that evening followed by a cook out with hot dogs, hamburgers, and many, many tasty deserts provided by the church and its members. After the message a concert featuring local hip hop artist Dizz was held finishing the night with his Christ centered rhythm and rhymes. This event was totally free and a token of our church's appreciation for our city's high school teams. We hope everyone had a great time, and want to invite the members of all these teams, as well as those not in the Fall, to come back to The Crossing anytime. On Sunday, September 18th there will be a special morning worship service and a dinner immediately following to commemorate the completion of The Crossing's chartering process! All believers who wish to become charter members of our church are welcome to come and do so this Sunday, as are all those who are just interested in learning more about The Crossing. It's only been a little over a year since God brought the congregations of Riverwood and Trinity Baptist together into one body. Already He has done so much through our church! If you would like to review some of the things that happened at The Crossing over the course of that year and learn a little more about us, just click the links below! Most of all we should be in prayer that this year we will be completely yielded to the Lord and that we will individually, and as a church, serve the Lord Jesus Christ and grow closer to our Savior as we share the message of salvation through Him to the world! The Crossing brought at least 500 bottles of water to support this event. 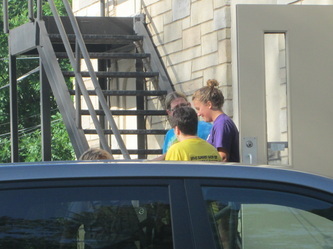 During the event our church gave out several dozen bottles of water and flyers with our service times. If you are among those who received a flyer we hope you will consider visiting during one of those times. 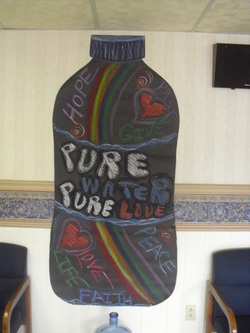 Also take some time to learn more about Pure Water, Pure Love , a ministry The Crossing supports. Be in prayer that through this event meant to draw our community together, our church will have the opportunity to share the Gospel and draw others to a closer relationship with our Lord and Savior Jesus Christ! CLICK HERE TO FIND OUT MORE ABOUT PURE WATER, PURE LOVE! Pure Water, Pure Love is the Womens Missionary Union's ministry that seeks to give missionaries and the communities they reach out to one of the most basic necessities of life: water. Good, clean water isn't always so easy to find in areas outside the US and Pure Water, Pure Love is a means to providing the equipment and funds necessary to change that. More than that though, through providing clean water for a group of people, the door is opened to tell them about the Living Water, Jesus Christ our Lord. 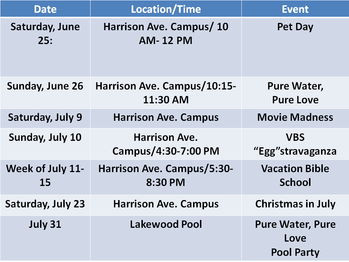 Even though the month of July is over, you can continue to help support Pure Water, Pure Love! The WMU asks that you simply keep a cup at home and sit it someplace where you'll see it, perhaps by your kitchen faucet or near your shower. Whenever you see it remember to pray for the missionaries and those they are reaching out to, and take any spare change you have and put it in the cup. When you're ready, bring the cup and pour it into jug set up in the foyer. Whatever your action, don't forget to thank the Lord that you've had the opportunity to have pure water, and the offer of His pure love in Jesus Christ. And most of all pray that The Crossing, in whatever it does will continue to follow the Lord's directing in all that it does! . The Crossing's One Year Anniversary! On Sunday, May 29th The Crossing celebrated its first full year as one body of believers! There was a cookout with hamburgers, hotdogs, mac and cheese, and a wide variety of homemade and store bought desserts. At 6:00 PM the commemoration of our time together began and the hall quickly filled with members of all ages. The time was one of good fellowship and thoughtful consideration of the wonderful work God has been doing among and through us since we came together. Whether you attended or not though, everyone can keep the church in their prayers that the Lord will continue to use us for His work and glory, and that we all will strive to live lives more fully devoted and truly close to our Lord Jesus Christ in all the years to come! On May 15 and 22 during the Sunday Evening service the church held CEF training classes for anyone in the congregation interested in learning how to help with CEF's outreach in the local school system. The training involved learning how to share the Gospel primarily through the GF2, that is the Gospel Flipper Flapper. Though small it is an effective wordless tool for starting a conversation with a child and giving a memorable lesson in the Gospel. Also, those who wish to become "certified" as counselors in the CEF program may come June 5 to the Sunday Evening Service, where a short demonstration of the skills obtained in the training. 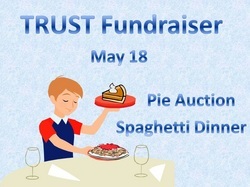 On May 18th the church's youth group, TRUST, held a spaghetti dinner and pie auction at the Harrison Avenue Campus. 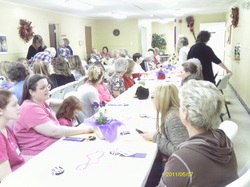 The event started at 6 PM and all the proceeds from donations and the auction went towards the group's summer activities. People came out and enjoyed some homemade Italian Cuisine, got some dessert to go, and supported the church's youth! If you would still like to help, see Danielle for what you can do to support the youth group. Remember, you can always pray for the church's youth. 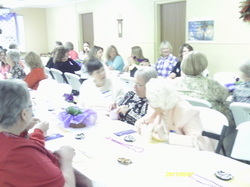 On the 7th the church hosted a banquet for mothers and their daughters. 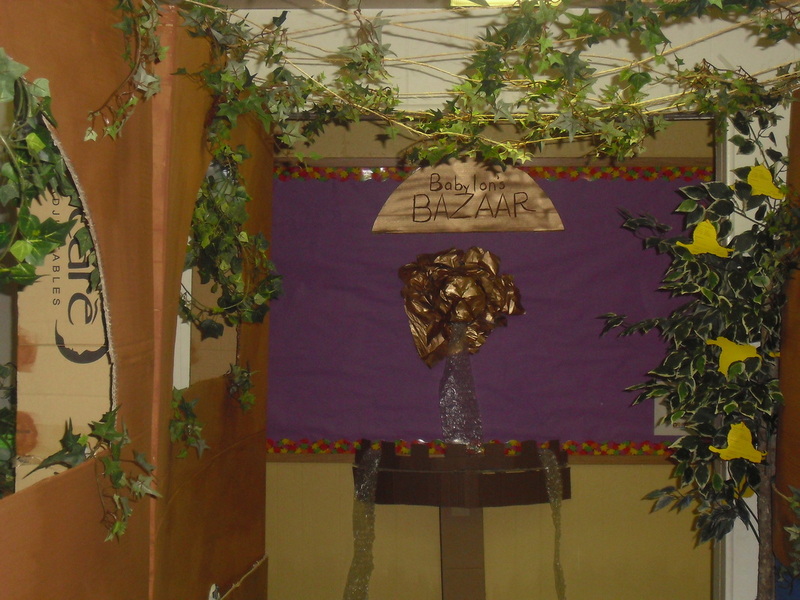 The event combined food and fun in a time for commemorating the blessing, and recognizing the work, of motherhood. 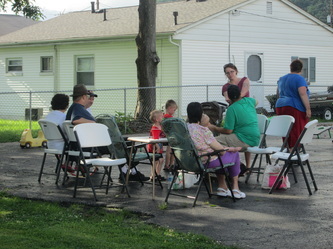 Mothers young and old attended, along with a few men from the church who served the food and drinks and cleaned up after the event. 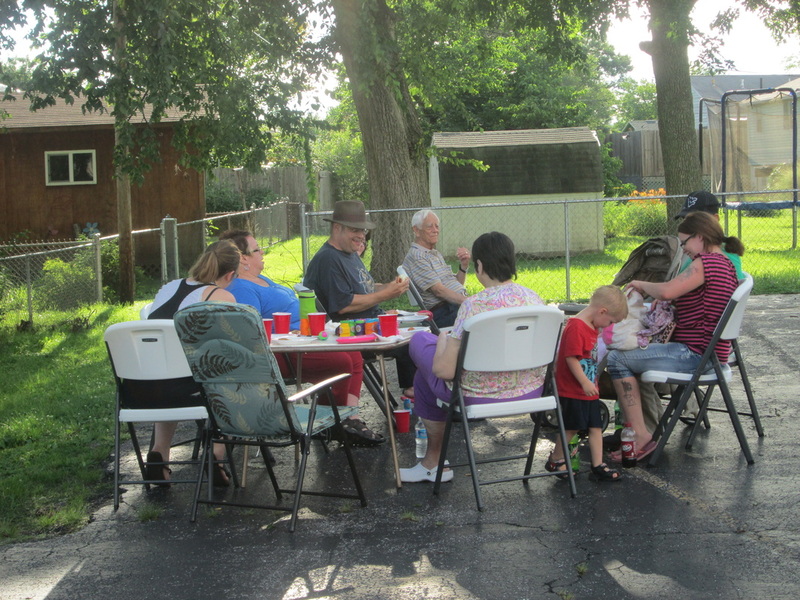 There were games, which included prizes, but most of all there was an atmosphere of appreciation and warmth about the gathering. Many thanks go to all who participated and even more for those who organized it and made the evening possible! 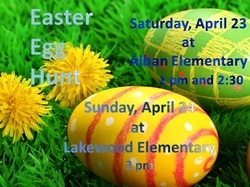 This Easter, The Crossing hosted two Easter Egg Hunts for kids 2 years old to those in 5th grade! 6,000 eggs were prepared for hiding and a big thanks goes to those who helped make this possible! The weather wasn't the best for a hunt, but kids still came and the Church gave away several prizes for those who attended as well as placing special surprise goodies in the eggs themselves. This year the church had the blessing of being able to hear and see both its own choir and the praise and worship band Sackcloth2Joy perform. 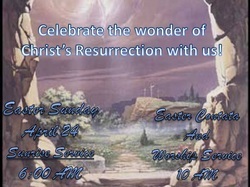 As with every performance from each the music was moving and hopefully it touched the hearts of all who came to celebrate the wonder and majesty of the resurrection and Christ's victory over death! Do not stop praying for those whom you know who need to experience the life changing power of the Lord's redeeming work. May His sacrifice, love, and the awesome wonder of His forgiveness and power to save be with us all throughout the remaining year and drive us all to a closer relationship with Jesus, the risen Messiah of God! Sunday, March 20 was all about missions. 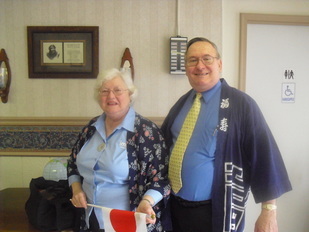 For Sunday School retired missionaries to Japan Ed and Sharon Smith visited and told us about their time in Japan and the work God is doing there even now. 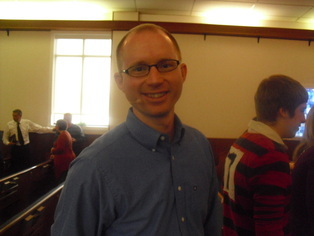 During the Worship Service Andy Haynes, who is a missionary to the college campuses of New England spoke. He explained how though part of the United States, New England college students frequently have even less exposure to the Gospel than some foreign countries and need our prayers dearly. Sunday night we heard from a missionary to South East Asia named Randy. 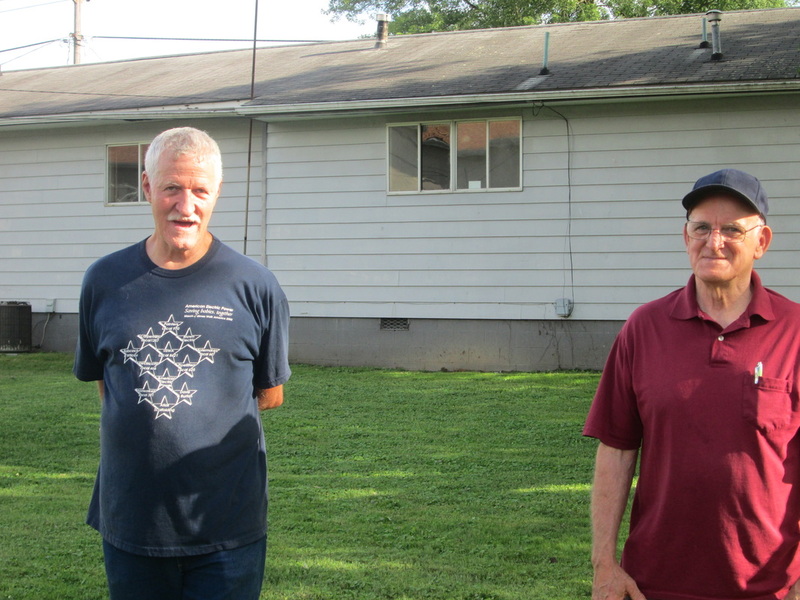 His message was both an encouragement and a challenge to actively take part in missions. Though Mission Celebration Sunday has passed it is important for us to not forget about the missionaries in the US and abroad who have given their lives wholly over to spreading the message of salvation in Jesus Christ our Lord. We need to be in prayer for the missionaries as well as the people they are seeking to reach, and mindful in our own lives of what God may have for us to do as well!